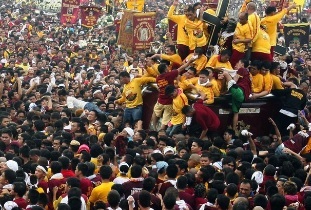 THE FEAST of the Black Nazarene happens this week. According to Manila Mayor Joseph Estrada, the route of the annual procession has been changed. It will start at the Minor Basilica in Quiapo and will end at Fort Sto. Domingo in Sta. Rosa, Laguna. This year marks the 407th grand Traslacion of the Black Nazarene. Here’s a very little known fact about this event: Juan Ponce Enrile never missed a single procession. Former Manila mayor Alfredo Lim is a known devotee of the Black Nazarene. Incumbent Manila Mayor Joseph Estrada is a known de-bote. The Philippine Daily Inquirer reported alleged anomalous deals in the construction of bunkhouses intended for Yolanda victims in the Visayas. If the alleged overpricing would be proven, Public Works and Highways Secretary Rogelio Singson said he would resign. Energy Sec. 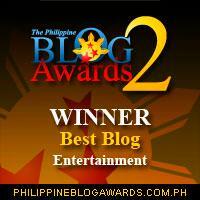 Jericho Petilla admired Secretary Singson’s delicadeza but resented his lack of originality. After Erap’s and FVR’s separate visits to GMA, rumors say there could be a possible alliance among the three. Lawyer Ferdie Topacio calls it ‘Triple X.’ It stands for ex-President Ramos, ex-President Arroyo, and ex-convict Joseph Estrada. Last month, Uruguay became the first country to legalize the growing, sale and smoking of marijuana. I haven’t been to Uruguay. Is it like Northern Luzon? Amid the global debate on whether pot should be legalized or not, Malacañang reminded the public that marijuana is still illegal in the country. Illegal, i(l)ˈlēgəl/ adjective: if you got caught. Former Parañaque City Rep. Roilo Golez says Manila should dream big and try to vie for the hosting of the 2024 Summer Olympics. Is he on marijuana? Guess who’s reportedly seeking a seat in Congress! It’s Ai-Ai De Las Alas, the comedienne. Not funny. Amid rumors of a network transfer, Kris Aquino has announced that she has renewed her contract with media giant ABS-CBN. The multimedia queen will continue to host some TV shows, make some movies, and if given a chance, threaten to quit showbiz again. Megastar Sharon Cuneta, wife of former senator Kiko Pangilinan, celebrated her 48th birthday last January 6. As a birthday gift to herself, she avoided lechon, crispy pata, and Twitter.